Was down in Orlando, Florida for Halloween Horror Nights and got back stage tour of the amazing 2103 scare house, American Werewolf in London. Honestly, freaking intense and the artistry was just off the hook. Met the folks from http://www.promotehorror.com/ - If you're into horror, check out their site. 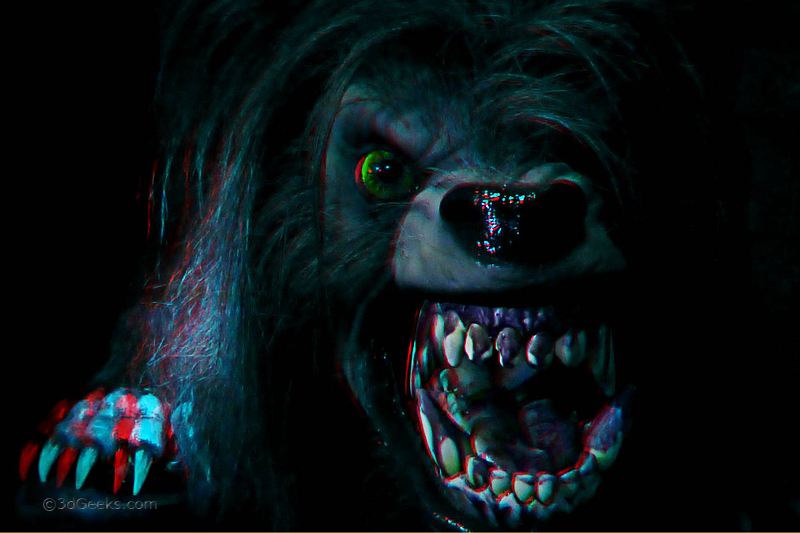 The photo is of the last werewolf you saw, that lunges at you while exiting the building. These very high tech puppets were control by "scare-actors" which make very life like movements combined with really creepy roars. If you didn;t run from this beast - you have no adrenal gland in your body. It was awesome.